While 2018 was one of the driest years on record in the Southwest, federal water officials are cautiously optimistic about this year’s mountain runoff projections. The 2018-19 winter recorded impressive precipitation amounts, but will they be enough to overcome years of debilitating drought conditions? 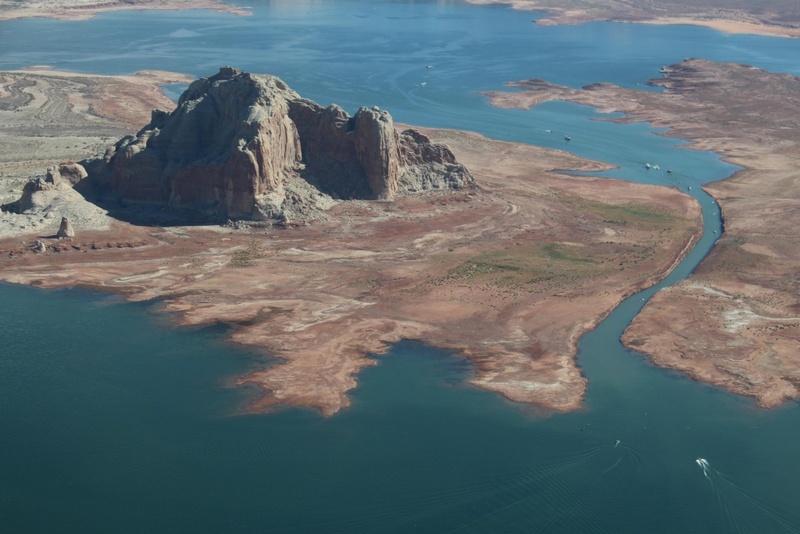 Beginning this month, water levels in Lake Powell will continue to increase until late July. Thanks to Powell, which releases water downstream, Lake Mead in Nevada is actually recording a two-inch increase over this time in 2018. Powell is 43 feet lower than last year. Lake Powell is totally dependent on mountain snowpack runoff, while Mead can rely on the consistent releases from Powell through the winter months. An average inflow into Powell is expected this year, and nine million acre-feet of water will be released downstream in 2019, which is the same amount as the past four years. Bureau of Reclamation hydrologists are hoping for a gradual and steady warm-up of temperatures as that will result in a consistent, dependable runoff.